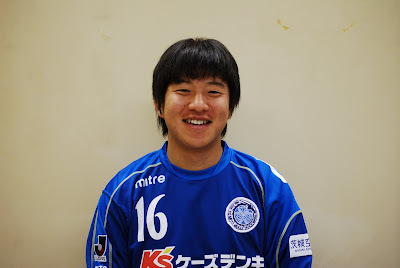 Mito has signed the player to fill the remaining foreigner slot, midfielder Chu-Ho Park. He was previously linked to FC Gifu, practicing with the team in the Miyazaki camp and scoring in a practice game, but was passed over in favor of the current squad. Seeing that team's success so far this year, it may be for the best for them. Park is the former captain of the Korean national U-20 team, and is a member of the current Korean Olympic squad. This is the second 2008 Olympic hopeful to be on the Mito team after Shohei Ogura last year, but after Ogura's buyout by Yokohama Marinos and being sidelined in that talent-rich squad, Park will likely be the only one actually to play in the games. This assuming he gets playing time and can show his worth, of course.